The parents and the children along with the residents of the village thereafter held a demonstration on Friday demanding that the pre-school building and the land should be handed over to them for running the pre-school as they have been using them for several years. 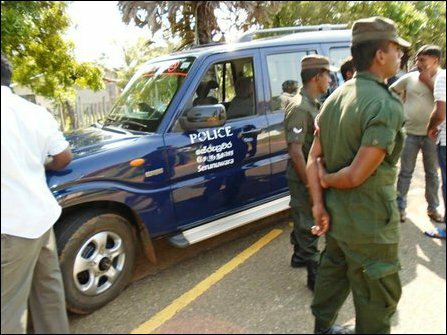 The Buddhist prelate further warned Tamil villagers that the pre-school building was constructed on the lands that belonged to a Buddhist Vihare. 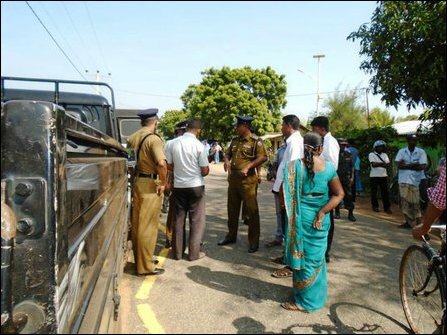 But, the Tamil villagers said that the land belonging to the preschool was not part of the lands identified by the Sri Lankan Archaeological Department for archaeological purposes. 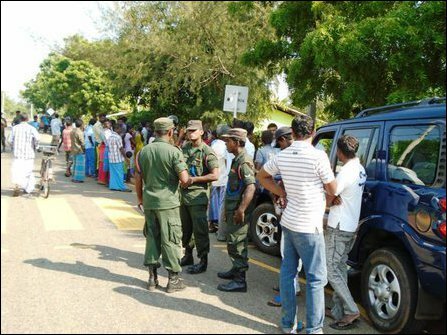 On receipt of information teams of Sri Lanka Army and Sri Lanka Police led by Officers- in Charge of Seruwila police division and the Verukal PS Chairman rushed to the site to confront the Tamil protestors who were agitating against the Buddhist monk. The monk was adamant that the said land where the pre-school building belonged Buddhist Vihara.